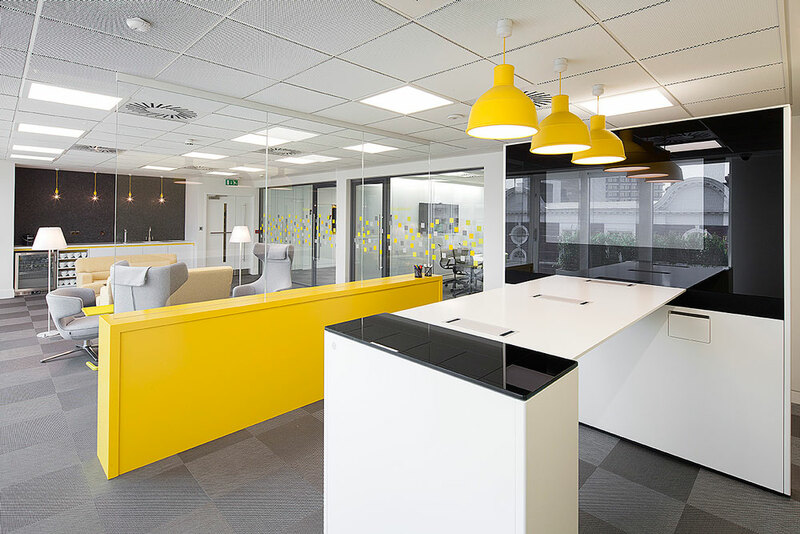 Towards the end of 2013 Overbury asked Create to design and develop a new meeting suite and breakout area on the 5th floor of their building in Newman Street. 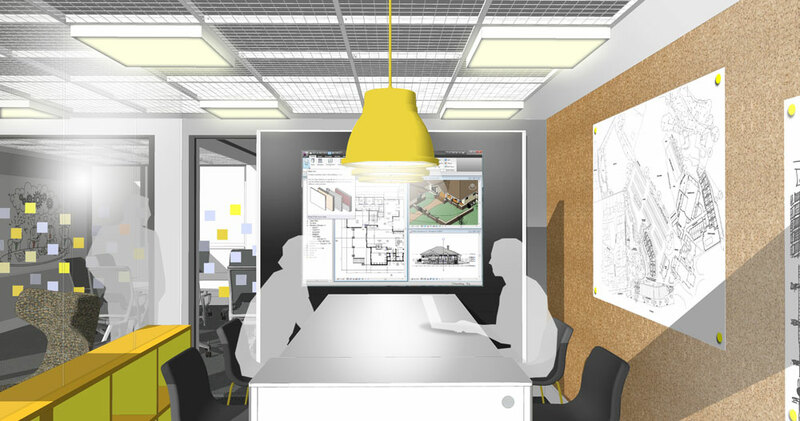 The brief for the design was to provide an innovative environment using the latest technology, that would allow their teams to come together to collaborate. 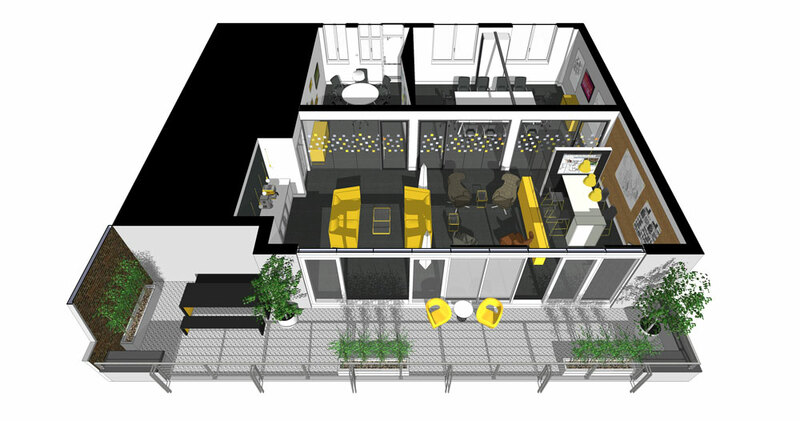 It was important that the space was flexible, providing both smaller and larger areas as well as a variety of informal space to accommodate different activities. 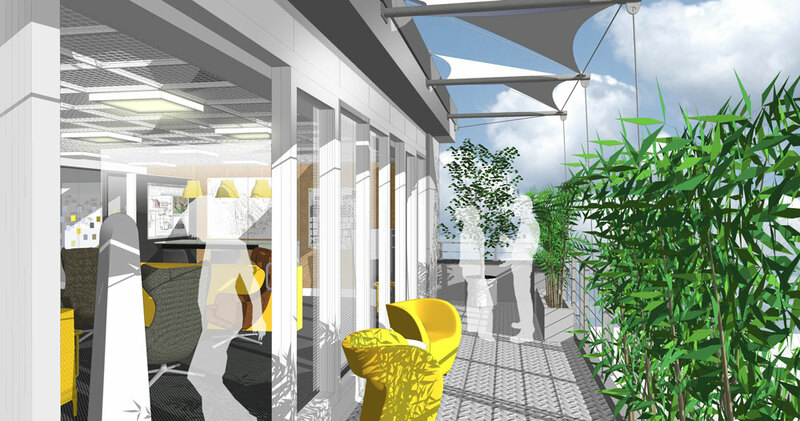 On entering the space there is a large open plan breakout area and refurbished terrace area; behind the open plan area are 3 new meetings room; all are designed to be flexible and provide interactive technology solutions as well as writeable surfaces for brainstorming. 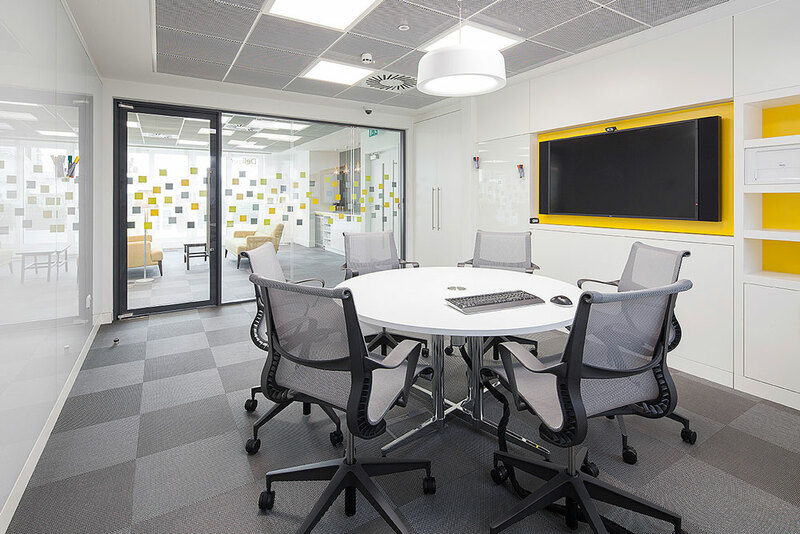 The introduction of a â€˜post itâ€™ manifestation across the front of the glazing adds an element of fun to the space. 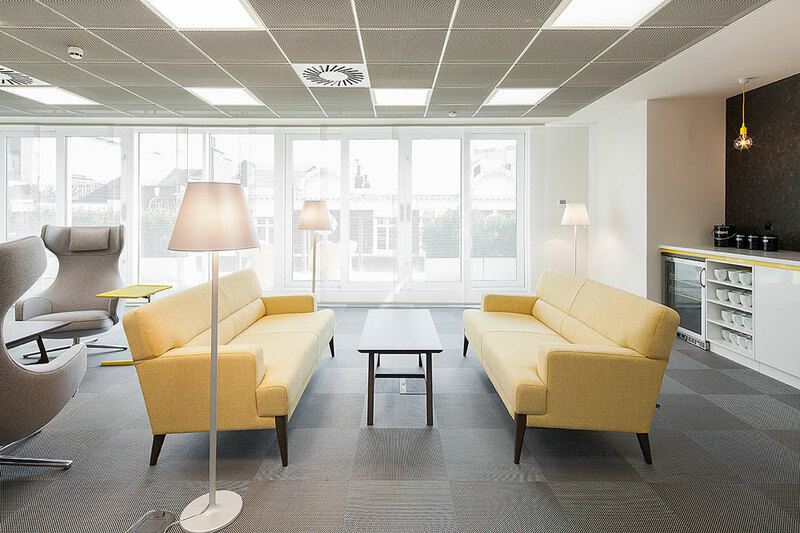 The ceiling was replaced with a mesh tile and subtle views into the void above create a feeling of height throughout the space, glowing lights and splashes of colour were added through the introduction of the feature pendants and the furniture upholstery. 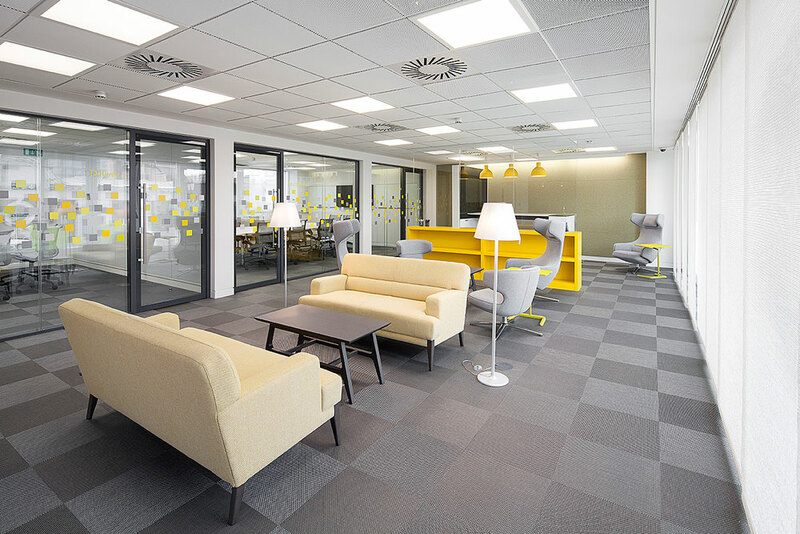 Within the breakout area the main focal point is the Innovation Hub; with a large pinable wall, Bene Idea Wall and bespoke bookcase screen, this space provides a great platform for the Overbury teams to connect and collaborate. 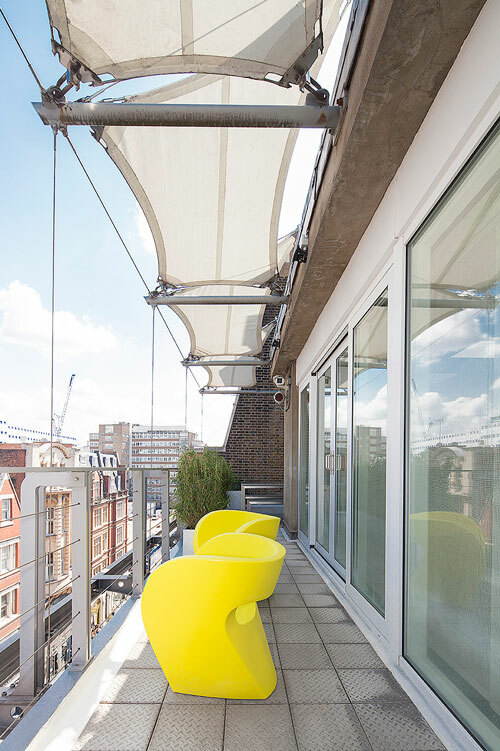 Sliding mesh panels screen the terrace area and a woven vinyl floor has been laid throughout added a smart textured finish. 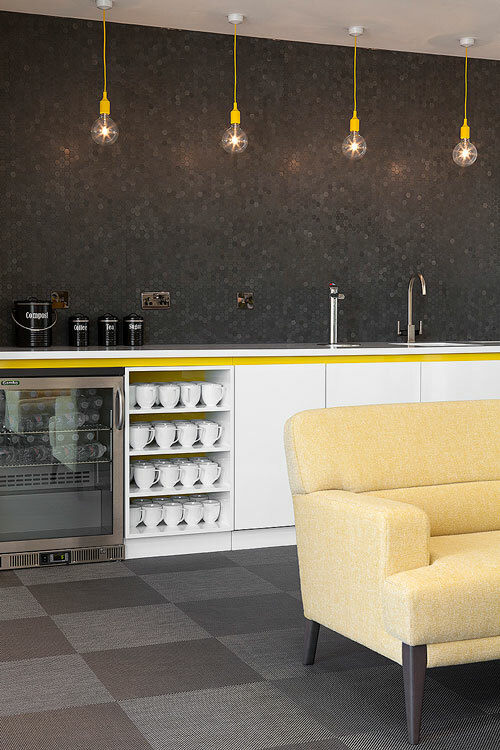 ipad controlled technology controls the AV and media installations providing a level of sophistication whilst making the technology easy to use and accessible for all.